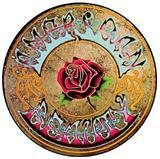 The Grateful Dead Egypt 1978 release is the latest live offering from GD Productions and their current label - Rhino Entertainment. 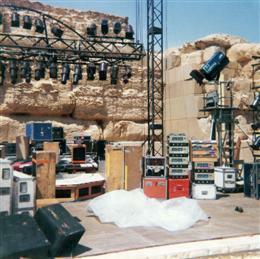 The Egypt shows are legendary among heads. That they were able to pull these concerts off at all is really remarkable considering the political tension in the Middle East. From what I've read it took some hard work and negotiation. Phil Lesh and others actually traveled to the country as ambassadors in order to work things out with the political leaders and convince them that it would be a good idea. 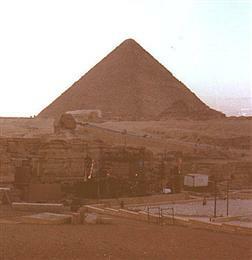 The band was very interested in playing at what they called "places of power" such as Stonehenge and the pyramids. They actually paid for the entire trip out of their own pockets because they couldn't get their record label to finance it. This says a lot about how determined they were to make it happen. Luckily they brought along recording equipment and video cameras with the idea of paying for the trip by producing a live album from the concerts. This never happened at the time for various reasons - the main one being that the band was unhappy with their performances and didn't think the Grateful Dead Egypt '78 recordings were good enough to release. The package itself is really cool. 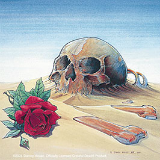 The album cover for the Grateful Dead Egypt release displays the striking image designed for the original concert poster by the great Alton Kelley, one of the fathers of 60s psychedelic art. Inside there's a cardboard sphinx and pyramid that pops up when you open the case. It's pretty slick but I've read at various GD related forums across the web that people have had problems with the glue from the packaging sticking to the discs and rendering them unreadable. There have also been reports of missing liner notes and of the pop-ups coming unglued and falling apart but I didn't have any of these problems with my copy. From my experience customer service is pretty good at dead.net and if you send them an e-mail they're quick to fix any problems you might have. 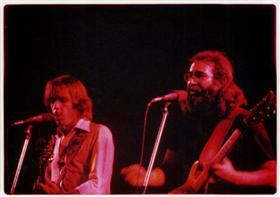 I had a defective disc in my copy of the Winterland '73 boxed set but they sent me another one right away. The sound quality of these recordings is incredible. They were engineered by Betty Cantor-Jackson who was responsible for the finest recordings of the band ever made - the legendary "Betty boards." No one could record the Dead better than Betty. They used the best recording technology available at the time - 24 track reels and the resulting master tapes are virtually flawless. They have a warm lush analog sound and every instrument and voice can be heard loud and clear. It really doesn't get any better than the recordings that Betty made of the band in the late 70's as far as sound quality goes. Unfortunately the performances on the Grateful Dead Egypt '78 don't quite live up to the perfection of the recordings with which they're represented. They're certainly not terrible but the magic that happens when the Dead are firing on all cylinders and "everything just clicks" is absent. It's easy to see why the band didn't want to release this stuff being the perfectionists that they are. Some of the songs are great but a lot of them just never really take off. The intent and the energy are there - you can tell everyone (except Keith who appears to be stoned out of his gourd) is trying really hard and wants it to work. But that's the thing - when the GD are "on" they are so good that everything just flows and it doesn't sound like they're trying hard at all. The musicians become one and the music takes on a life of its own which is truly greater than the sum of its parts. For some reason this just didn't happen at the Egypt shows. "We Always Blew The Big Ones"
I think part of the problem was that they weren't using their own equipment. The PA was supplied by The Who, something I wasn't aware of until I read it in the liner notes of the Grateful Dead Egypt set. I imagine this was probably because the cost of shipping multiple tons of gear across the ocean was more than they could justify. The Who, being based in England and therefore at least on the same side of the planet, probably did them a favor by lending them some equipment. It may have been disconcerting to suddenly be using unfamiliar gear. They must have been used to performing with their own stuff which they had custom built and used at every single gig in the states. This plus the strangeness of being in a completely foreign land probably threw them off a little. Jerry Garcia has been quoted as saying something to the effect of "we always blew the big ones" meaning they played poorly at really important gigs like Woodstock and Egypt. 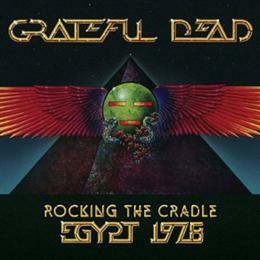 All that being said, the producers did do a good job of picking out the better tracks for inclusion on Rocking The Cradle - The Grateful Dead Egypt 1978. And you should remember that this is the band in the late Seventies - a time which I consider to be one of the major peaks of their entire career. For me there are several highlights here. On disc one Candyman is sweet and Looks Like Rain is pretty good. I always liked the versions of that song with Donna the best. I Need A Miracle into It's All Over Now seriously rocks and the set closing Deal is absolutely smoking - as it usually was in that position. On disc two the second set opener of Ollin Arageed into Fire On The Mountain is very cool and I love this version of Shakedown Street which was only the second ever performance of the song. Truckin' isn't bad but it's so overplayed that it really has to be an amazing version to hold my attention. 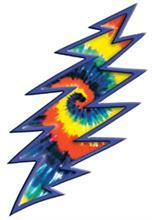 The Stella Blue that it segues into is much more interesting - what a beautiful song this is. These are all great songs and they are played with passion but you can find much better versions of all them in 1978 very easily. Something's just a little off here, the band sounds slightly out of tune at times and they're just not in sync with each other in the way that we've come to hope for and expect. I doubt that I'll be spending much time listening to the audio CDs included in the Grateful Dead Egypt 1978 - Rocking The Cradle. 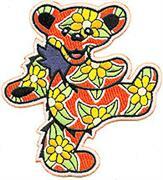 There are just so many shows from '78 that are so much better. But that's OK because the main reason I bought it was for the DVD anyway. 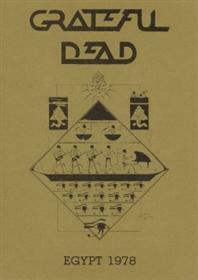 The Grateful Dead Egypt '78 DVD is the main reason to buy this. If you want to hear some '78 GD music that shows how good they could sound when they were on, just listen to Road Trips 4 - "From Egypt With Love" which was taken from the concerts they played at Winterland upon returning from their journey. I pre-ordered and got the two releases at the same time. That is some truly awe-inspiring music. 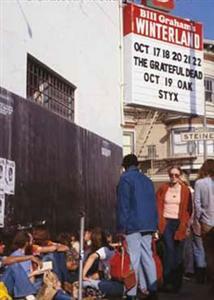 Winterland was the band's home turf, where they were at their most comfortable and they almost always performed well there. The magic was definitely happening; all five nights of that run are worth repeated listening. The only thing that bothers me about Road Trips 4 is that its a compilation - its way too short and the shows are all chopped up and rearranged. 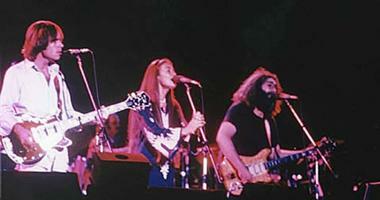 I'm one of those purists who want to hear full uncut concerts - including the tuning and stage banter. 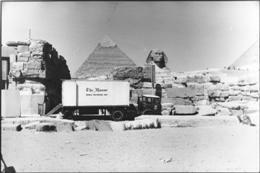 In my opinion the "From Egypt With Love" concerts were good enough to merit a boxed set with all five nights in their full glory. However, it really doesn't bother me too much because I've got copies of Charlie Miller's transfers of the whole run anyway and they sound just as good as the official release. Thank God for the internet and generous souls like Mr. Miller. In conclusion, don't let this review deter you from buying Rocking The Cradle - The Grateful Dead Egypt 1978. As far as I'm concerned it's worth every penny just for the DVD alone. If you do decide to purchase I recommend Amazon.com for their low prices and free shipping. I've bought tons of stuff there and they've never let me down.